There are many benefits to be gained from physiotherapy for Parkinson’s patients. Whether the patient has been newly diagnosed, or have lived with Parkinson’s for some time, our neuro physiotherapist in London will be able to assess how Parkinson’s is affecting his movement and everyday function, providing you with the physical and psycho-social rehabilitation tailored to his needs. People suffering from neurological disorders experience mobility issues, that’s why London Home Visit Physiotherapy offers Parkinson’s disease rehabilitation physiotherapy in the comfort of the patient’s home. However, we can also offer treatment at one of our physiotherapy practices. You can visit us at our different locations: in Belgravia Westminster SW1 near Victoria Station, Moorgate EC2 near Moorgate station and Liverpool street or in Clapham SW4 near Clapham south station. How can physiotherapy help patients with Parkinson’s disease? 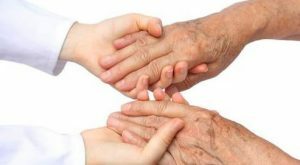 Parkinson’s specific physiotherapy can be divided into two main areas of rehabilitation and is dependent on the stage of Parkinson’s disease. In the early stages our neurological physiotherapist in London will be able to advise, educate and support the patient with Parkinson’s disease, providing exercises to promote general fitness and to help him to remain independent. During this early stage physiotherapy can offset the effects of Parkinson’s to try to minimise the deterioration of the motor skills. In patients at a more progressive stage of the disease, physiotherapy will focus on movement strategies to aid walking, posture and balance and offer strength training to improve confidence and help to reduce fear from falling. Furthermore, methods can be used to manage the pain that may be associated with Parkinson’s and our physiotherapist in London can advise the patient and his support network involving family, occupational therapist or carers on how to make the patient mobility easier and safer in his home environment with the use of aids and equipment. Parkinson’s is a progressive and degenerative neurological disorder of the central nervous system characterised by tremor, muscular rigidity and slow imprecise movement. It affects about 1 person in every 500 and is mostly diagnosed in people over the age of 50 but increasingly seen in much younger ages. It is currently the second most common neurological disorder in the UK.